Q: What is the cost of using SPEAKING.com to book my professional speaker(s)? There are no additional costs for using SPEAKING.com to arrange your speaker booking(s). We secure our commission directly from the speaker. The speaker pays SPEAKING.com a commission from their fee. All SPEAKING.com services are included in the speaker’s set honorarium. Speaker fees vary widely depending on the speaker’s popularity, his or her availability and the event requirements. Generally, fees for keynote speeches begin around $7,500, with the average national keynote fee being $10,000. For celebrity speakers and top business experts, fees can range from $20,000 to $40,000 and up. For well-known personalities, fees are usually over $50,000. And the biggest names such as Bill Clinton, Richard Branson and most A-list celebrities are over $150,000. International fees are generally 50% to 100% more due to the extra travel time. In most cases, travel and lodging expenses are in addition to the speaker honorarium, including coach/business or first-class travel, accommodations and limited out-of-pocket expenses. We can also negotiate a flat travel fee. Q: Can I book speakers directly? Some speakers have their own websites and can be booked directly. But, many of the speakers featured on our website have us handle all their booking logistics, so we are the direct agency contact. Understandably, some event planners think they can get better pricing, quicker responses and more detailed information from some speakers directly, but in actuality, this is not the case. By using SPEAKING.com, event planners get the best of both worlds: personal contact with speakers, plus their SPEAKING.com Account Executive – a knowledgeable and trustworthy partner. There are distinct advantages to using SPEAKING.com and having a powerful advocate on your side. Q: What are the benefits of using SPEAKING.com for booking speakers? Inside scoop: we keep up-to-date on all our speakers, maintain detailed feedback records from past events and know exactly what’s going on now in the world of speakers, lectures, meeting and conferences. We give our clients unbiased inside information on any speaker on the circuit today. Quick responses: many times speakers are very difficult to get reach. We get information from speakers faster (especially “celebrity” speakers) because we have their direct contact information and they are more inclined to get back to us more quickly since we are known to them. We are easy to reach when you need us. 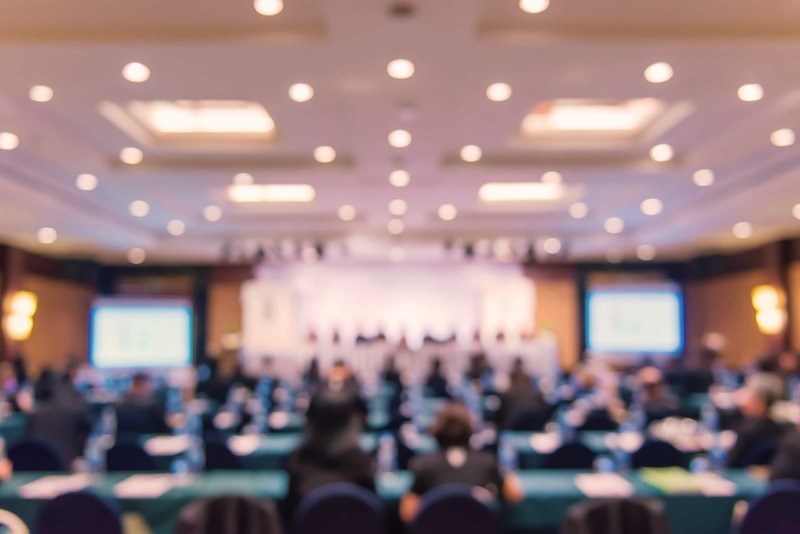 One-stop source: in addition to the over 5,000 speakers we have direct contact with, SPEAKING.com also partners with other leading speakers bureaus so we can research and find almost anyone that would be a good fit for your event. You have access to any speaker you want – which saves you time and energy trying to track people down. Instead of wading through lot’s of information and websites, getting fees and availability, setting conference calls, etc., all you need to do is turn to your trusted SPEAKING.com Account Executive for the information and experienced advice you need to make an informed decision. Accessible and up-to-date research tools: the SPEAKING.com website profiles more top speakers than any other speakers bureau on the Web – over 1,300 keynote speakers are featured (most with multiple streaming speech video clips, we are the “YouTube” of speeches!). We can also provide testimonial referrals and speaker kits for review, set-up conference calls with speakers, and reveal valuable insights into speaker candidates that no one else can give. Special pricing: many times we can negotiate discounted speaker fees since we have good, long-standing relations with all our speakers, exclusive agents and other speakers bureaus. We bring speakers repeat business and have worked with most of our speakers for over two decades, so they are more likely to discount an event for us. Value added: SPEAKING.com has long-standing partnerships with our speakers and other bureaus. We can negotiate special additions to a keynote event such as free books, complimentary break-out sessions, book signings, media interviews, interactive / Web-based features, additional promotion/marketing pieces and more. Contracting: our proven speaker booking contract secures and helps protect our event planning clients from unforeseen circumstances. SPEAKING.com is the insurance and peace of mind you need when making your important keynote speaker decisions. Conference calls, travel and program details: we help facilitate smooth communication between clients and speakers during the program planning stage right through to the big event day. Event follow-up: we provide a post-event speaker evaluation so you can provide feedback about your speaker(s) and SPEAKING.com. We can also help extend the benefits of your speaker’s message with post-event support materials, interactive features and consulting services. Dispute resolution: we help resolve any issues that might arise between clients and speakers. Occasionally, for example, there is confusion over travel expenses, presentation recordings or other issues – we help settle things amicably. Next event: now that your Account Executive has a good idea about your audience, organization goals and needs, they can help you build on your first event and bring complimentary talent to future events. Q: What is the difference between “exclusive” versus “non-exclusive” representation of speakers? “Exclusive” representation signifies that a speaker is represented by only one agency. The agency acts as an “out-sourced” office and single contact for the exclusive speaker and handles all calendar questions, event set up questions, special speaker needs, etc. “Non-exclusive” means that the speaker regularly works with many agencies and will book events directly also. In addition to the speakers we represent, we also have full access to any exclusive speaker that might be a good match for your event. We frequently partner with other speakers bureaus to locate the best speakers for our client events. These agencies split a commission from their speaker fees just like a non-exclusive speaker, so there are no extra fees for you. You will enjoy the same access to exclusive speaker calendars, fee schedules, technical requirements, special needs and other pertinent information to help you plan your event in the most efficient manner possible. Q: What type of speakers does SPEAKING.com represent? As one of the nation’s leading speakers bureaus, we offer top-rated keynote speakers and trainers on a variety of topics, including sales, motivation, leadership, team building, communication, change management, innovation and a variety of other popular and specialized topics. As mentioned above, SPEAKING.com gives you full access to almost any speaker in the United States, Canada and throughout the world (whether one of our speakers under management, exclusive or non-exclusive). Speakers we work with include politicians, celebrities, compelling authors, management gurus, top motivational speakers, media personalities, sports heroes and other leading authorities. Q: What does SPEAKING.com do for its clients? We are a full-service speakers bureau, providing corporations, associations and universities with professional keynote speakers, professors and corporate trainers who deliver the results required by diverse audiences. Our bureau team includes seasoned agents, professional administration support and legal services to ensure you will receive top customer service. Each of our agents consistently receives the highest marks for friendly, helpful customer service; insight and expertise; quick response and overall account management (click here to read what some of our satisfied clients say). During the review and research process, we provide you one-stop access to thousands of the world’s best speakers. If you already know who you want, we can locate, negotiate fees, check availability, gather marketing information and contract any personality you are interested in. If you would like suggestions, we can research the thousands of options available and provide you with a short curated list to review. We have already pre-qualified over 5,000 speakers we work with (and have access to an astounding database of over 10,000 more), so you can feel confident knowing that you are getting top-rated speakers who have the presentation skills and expertise to captivate your audience. We have built close relationships with our speakers and can set up conference calls, provide you with review materials (information kits, videos, books, etc.) and check availability quickly. We respond to your requests quickly and are easy to reach. Most speakers travel a lot, have no staff and are difficult to reach. We are easy to reach and will continually track speakers so that we can get answers to your questions fast. We make the booking process smooth since we do all the negotiating, contract stipulations/travel expenses, scheduling and accounting with the speaker. We stand behind our contracts and all stipulations and have an impeccable 25-year reputation in the industry. SPEAKING.com is like insurance – we will partner with you to make your event a huge success! Q: Does SPEAKING.com handle booking speakers for events outside the United States? Yes, we work with hundreds of outstanding international clients. SPEAKING.com is committed to the growing business education needs of the expanding global marketplace. Several of our Account Executives specialize in planning events with foreign and multi-national companies and conference producers – from Europe to South America to Asia to the Middle East. International clients, please click here for more information about how we can help make booking your next speaker a smooth process. Q: How can I learn about a speaker before making my decision? SPEAKING.com maintains a marketing department to provide you with full biographies on each speaker, photographs, recent articles and press coverage, video segments, books and letters of recommendation from previous speaking engagements. Some of our speakers will even do a pre-booking call. Q: Will I have the opportunity to make contact with the speaker prior to booking and/or the engagement? Yes. Our speakers are happy to talk with organizations prior to contracting and/or before an engagement. Ask your SPEAKING.com representative about setting up a conference call to discuss your event needs. This gives you the opportunity to clarify the expectations of your audience and get to know the speaker on a more personalized basis. Q: Can a book signing be arranged in conjunction with the event? The majority of our authors enjoy doing book signings at lecture engagements. Check with your SPEAKING.com account executive prior to arrange a signing. We can also provide a book purchasing rider which places you in direct contact with publishers to buy books at special discounted rates. Q: Is it possible to record a speaker’s presentation? Written permission must be obtained by the speaker prior to your event. Usually, speakers will agree to co recording for internal organizational use only. This is to safeguard the speakers’ right to their intellectual property.